MEANWHILE: Male bonding ensues nearby. Was that staged for a picture or impromptu? How funny. The glories & wonders of what one finds when visiting the naked Davids. If it was staged, it certainly wasn't staged for my brother and me! 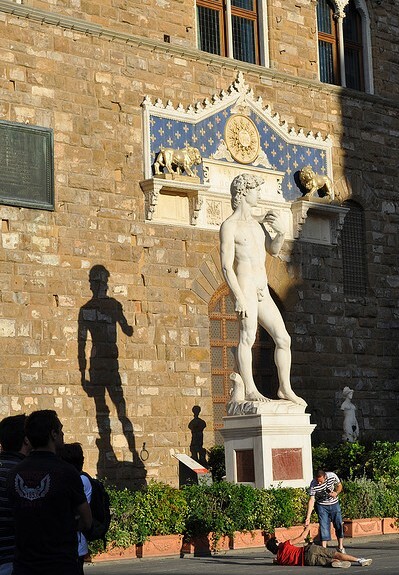 We just happened upon this little scene, walking through Piazza della Signoria. Maybe I should pull out some of the other shots in that series? I do wonder about the nationality of those two guys... Latins, especially Italians, often strike "artistic" or "sculptural" poses quite naturally. 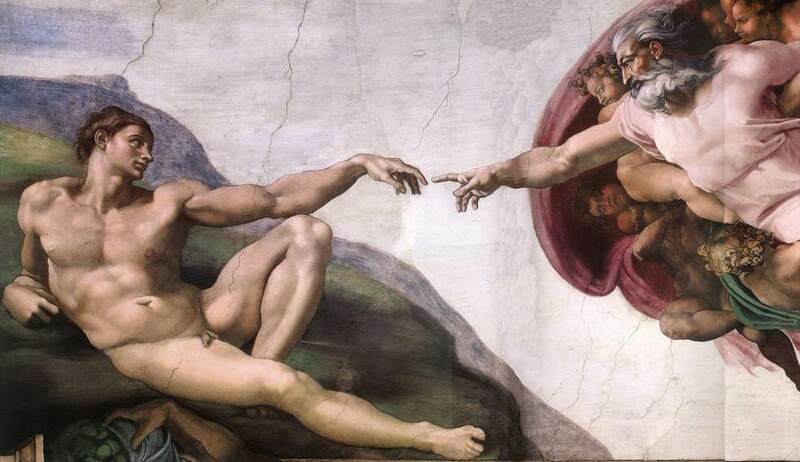 Michelangelo wasn't entirely making it up! Touche, Touche...I could agree with the comment about Latins/Italians....look at the way they dance....sadly, it's the white folks (like myself) who aren't very elastic. :>( Can't believe I am up this late...2:19am. Suppose I am preparing for future late nights in law school! !